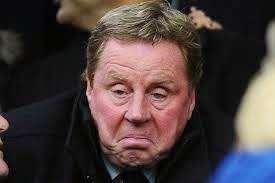 Harry Redknapp has told his QPR players that there will be no Christmas party to ensure their focus remains on securing their Premier League survival. Rangers have yet to win away from Loftus Road this season and are currently second bottom of the Premier League table ahead of a month which includes fixtures against fellow strugglers Burnley, West Brom and Crystal Palace. Redknapp is not a fan of Christmas parties and has told his players they are not allowed to organise one in case they get distracted from the job in hand. “I haven’t spoken to them about it, they haven’t mentioned anything about a Christmas party. “I think they understand the pitfalls of going out. He added: “We’re in a relegation battle and we need to make sure we concentrate fully. “I think we’ve got a Christmas do on Monday with all the staff who work behind the scenes and run the club.